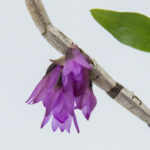 A much loved Himalayan species of ours, Dendrobium longicornu ‘Ernie.’ This particular clone was wild-collected in Nepal and is distinct from the more common Indian form. 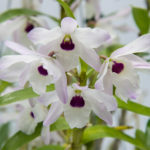 We grow Dendrobium longicornu in our cool area, with 50F (10C) minimum nights. 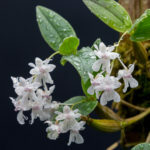 I have grown this cultivar outdoors into the mid 40s F (6-7C), but it appeared much happier in the somewhat warmer and more humid environment. 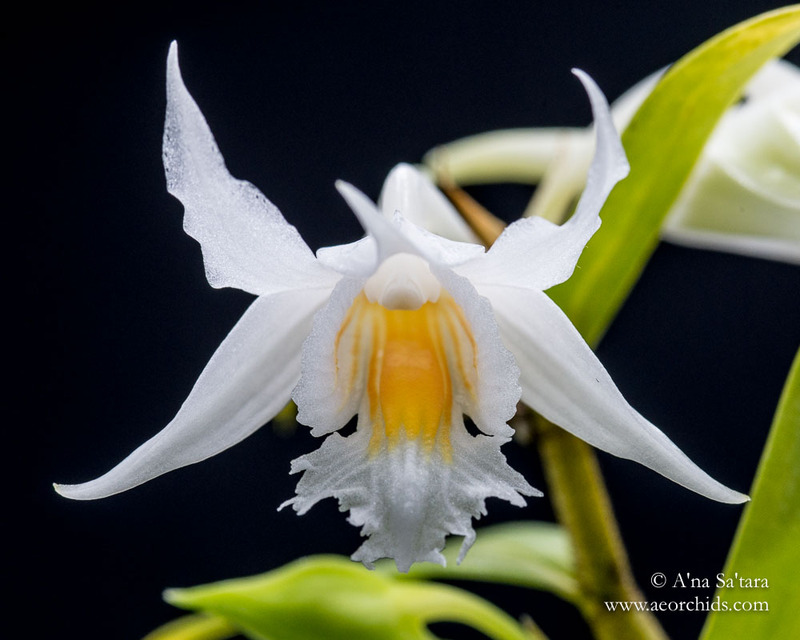 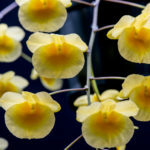 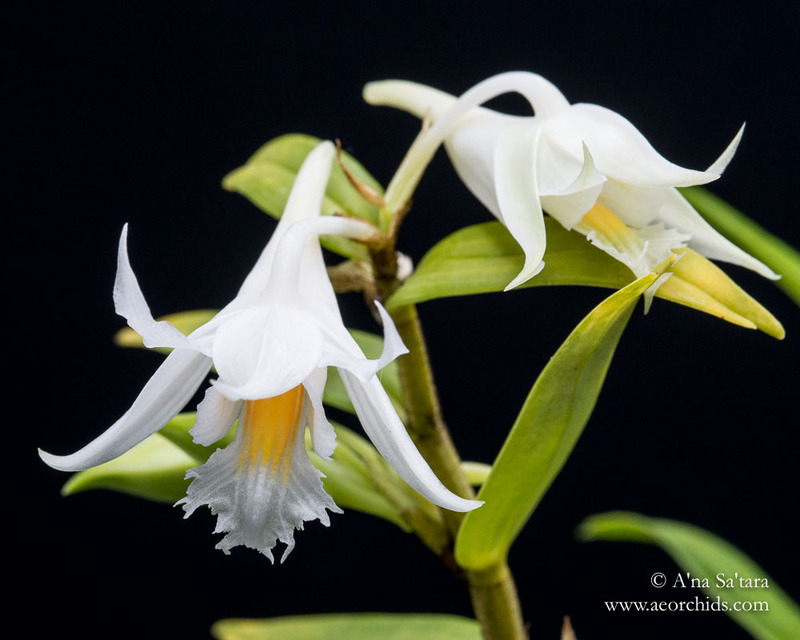 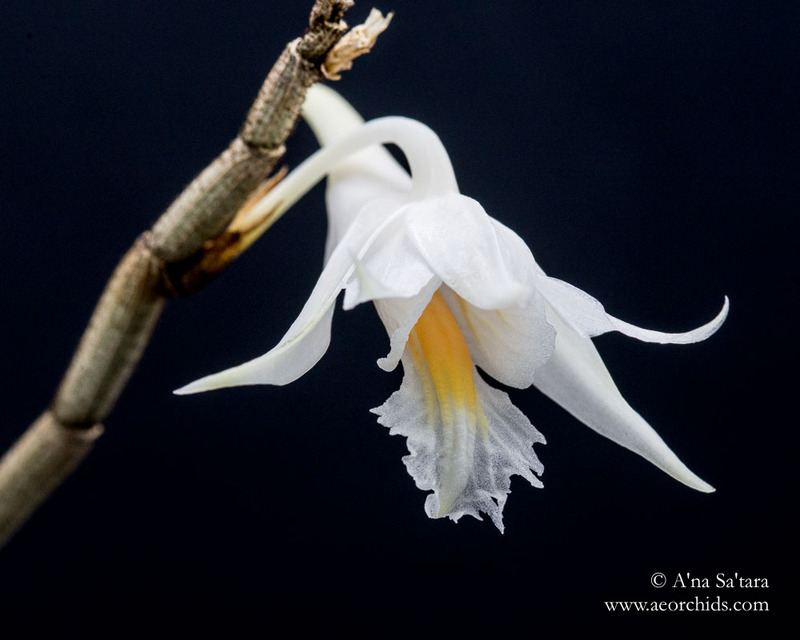 It is compact with 10-12″ (25-30cm) canes, and receives moderate light, with dappled shading from a pendulous Dendrobium subclausum hanging overhead. 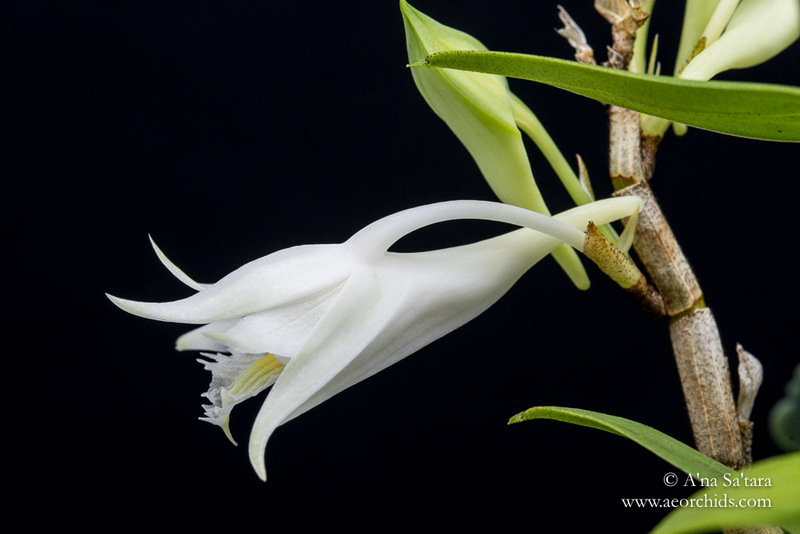 Dendrobium longicornu flowers from both leafless and leafed canes.